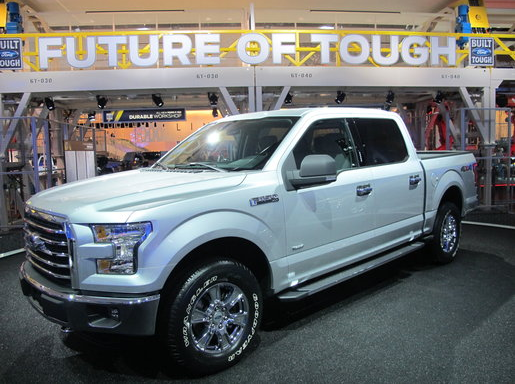 BRIGHTON, Mich - As of yesterday, U.S. and Canadian dealers were able to begin placing orders for the 2015 Ford F-150 pickup truck that will hit showrooms later this year. Now that the pricing for the 2015 Ford F-150 has been released, customers will notice that Ford Motor Company has raised the prices on the aluminum-bodied F-Series pickup by $395 to $3,615. The base model 2015 XL F-150 will start at $26,615, up $395, and the top-end Platinum version will start at $52,144, up $3,055. The biggest price increase is on the King Ranch F-150, which will not start at $49,460, up $3,615. Being that this F-150 model is a lightweight, aluminum-bodied pickup and has a predicted fuel economy of 30 miles per gallon on the highway, Ford believe that buyers will pay the premium amount for the F-Series truck. Aluminum does happen to be more costly than steel, but the added price stems from added content, improved performance and better efficiency, not the materials. Ford will be losing production of roughly 90,000 F-Series pickups as it converts two factories to aluminum truck production. Changing the 2015 Ford F-150 to aluminum is the largest and most complicated launch in the history of Ford Motor Company. It will be a tough process, but Ford is confident that their loyal customers will respond positively and make all of these obstacles worth while. Brighton Ford is located at 8240 Grand River Ave. just north of I-96 in Brighton. We are a family owned and operated business that strives for customer satisfaction. For more information on Brighton Ford visit BrightonFord.com or give us a call at (810) 836-8206.